Colored.by - Buy one of the 16,700,000 colors for $1, then design your color page (profile? ), and make gradients by mixing the colors (friends?). 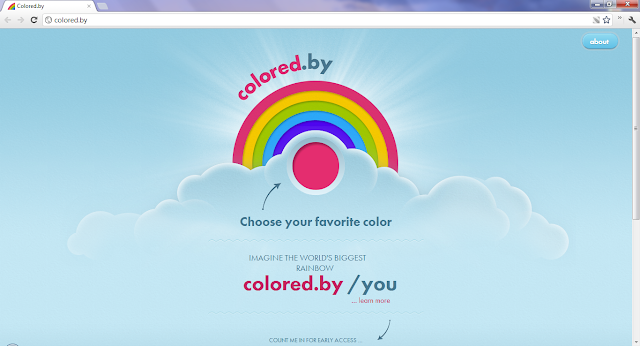 It looks to be a social network based on colors.